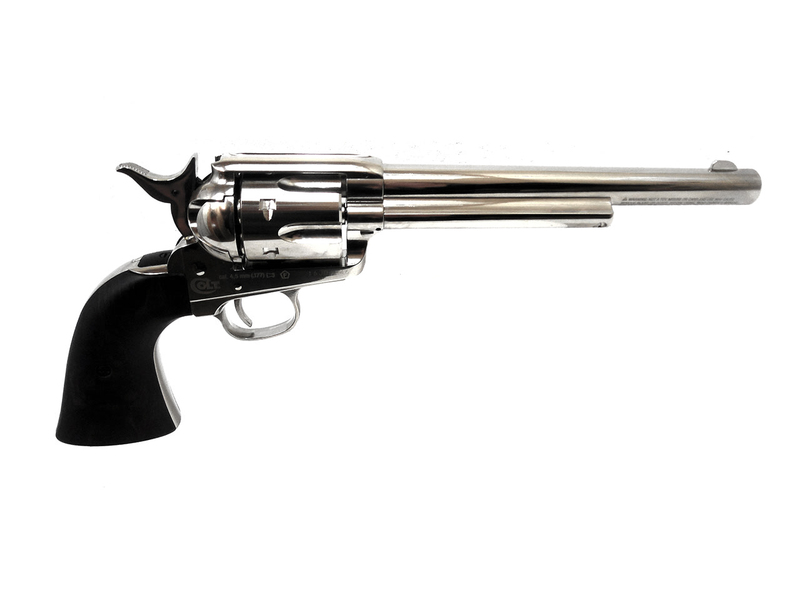 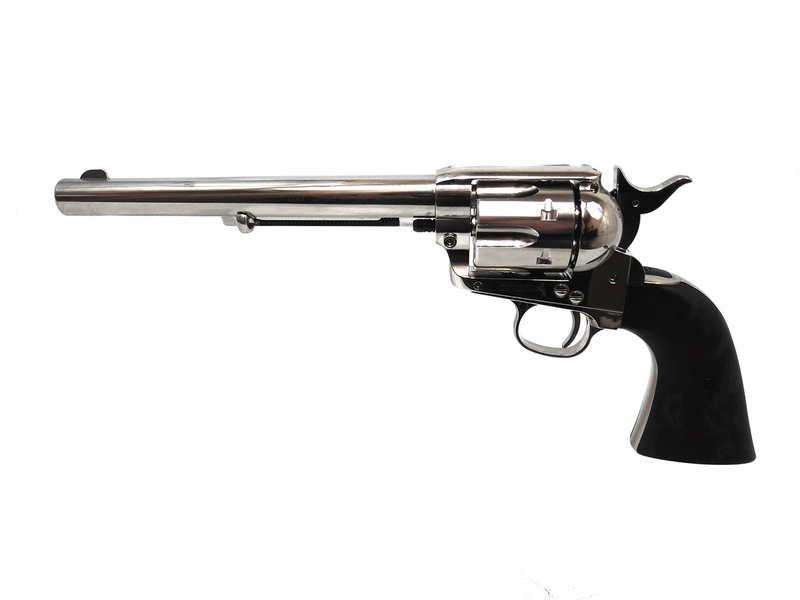 The Colt Peacemaker SAA CO2 Revolver is modeled after the Colt Single Action Army .45. 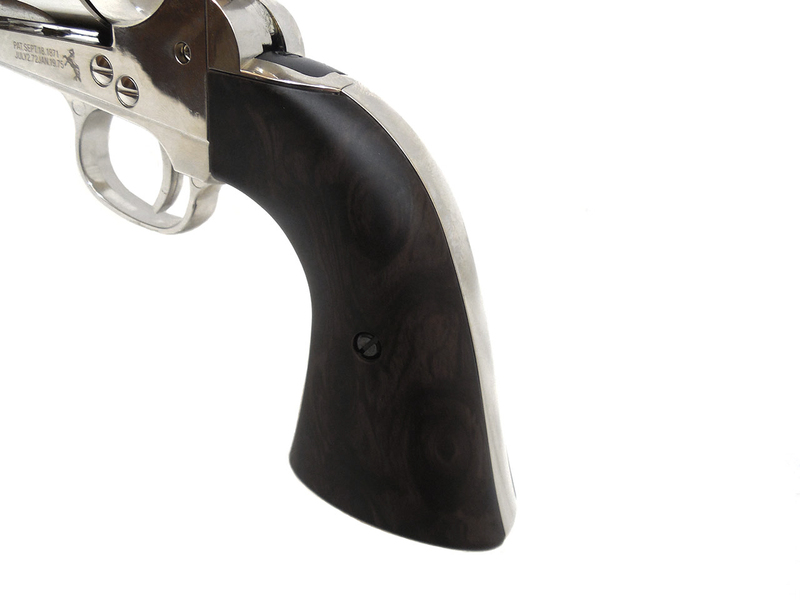 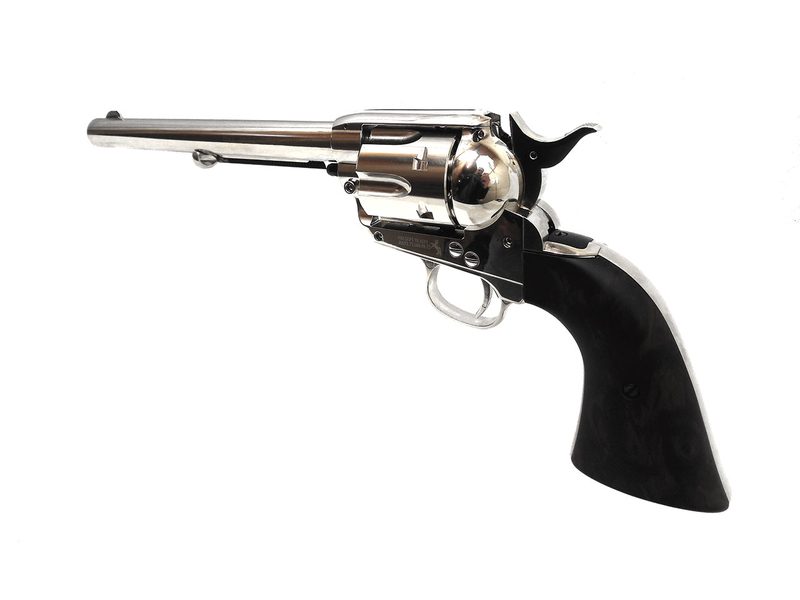 This replica closely resembles the 7.5″ 1873 Colt Peacemaker. 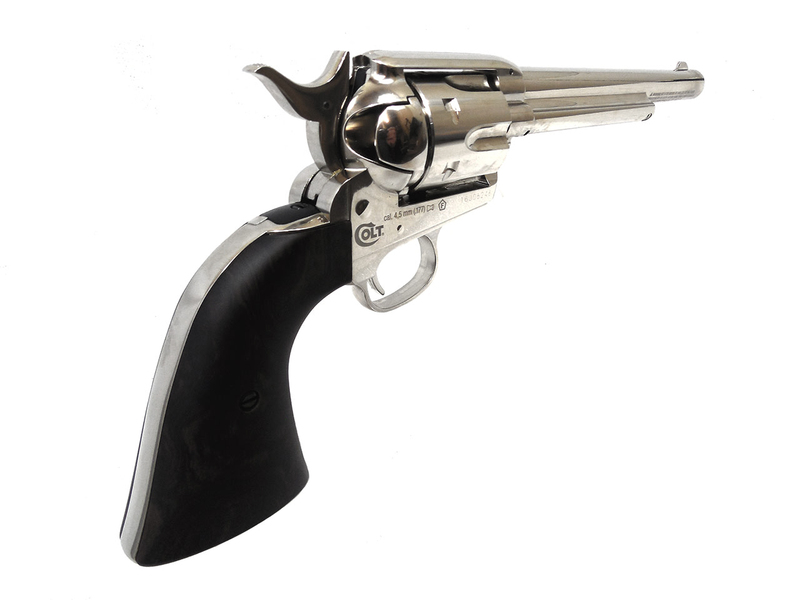 This is a CO2 .177 caliber pellet pistol with a 6 round cylinder and nickel finish. 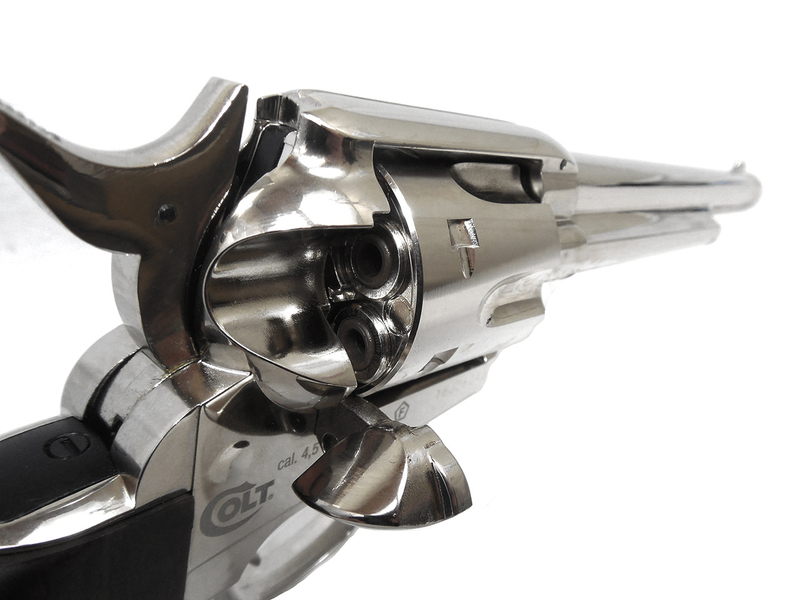 Six bullet shaped pellet shells are included.